Advertisers use AppsFlyer’s dashboard as their source of truth for all budget allocation decisions, making it easy to see where to invest. For networks wanting to be visible in that process, sharing cost data with AppsFlyer is an absolute must. 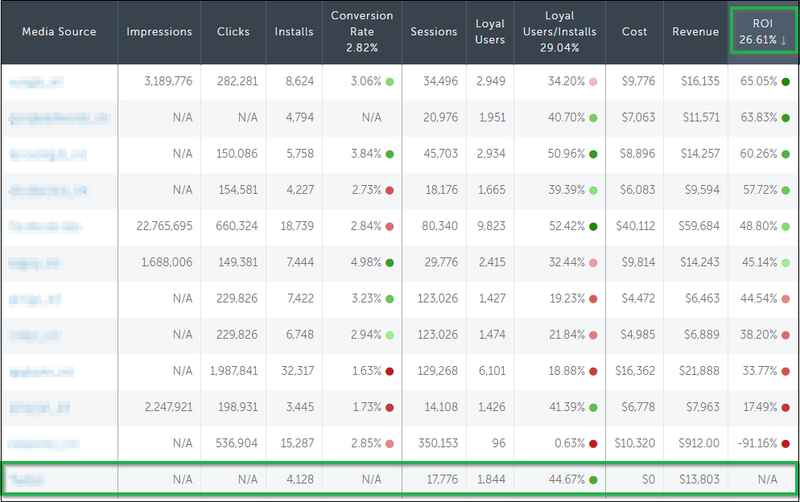 Advertisers often check their top performing partners using sort by ROI. Those with no cost data always appear at the bottom of the list. There are two ways to pass user-level cost data through AppsFlyer tracking urls: unencrypted and encrypted. Encrypted cost pass allows partners to send cost data in the impression and/or click with displaying the values in plain text. NOTE: While any cost model can be sent via the tracking link, only CPI is currently supported for presenting cost data on the dashboard. Other cost models are available in the raw reports. If you prefer not to reveal the actual cost value in the tracking URL, you can encrypt the cost parameters. The encrypted cost can be passed by following an AES-based encryption method. In addition to cost model, value, and currency, partners will need a network specific key to generate the encrypted cost value. Request your network encryption key from your Partner Development Manager or reach out to partners@appsflyer.com. Append the generated encryption value to your AppsFlyer tracking URL in the af_enc_data= parameter. Note - Only ad networks that perform the cost encryption integration with AppsFlyer can actually send encrypted cost data with their clients' tracking links. These networks have the label of "encrypted click" in the following list of cost supporting ad networks. To accomplish the encryption, partners must use the AES algorithm, with an ECB block mode, using PKCS5 padding. Then they must Base 64 encode the encrypted data, and finally URL encode the result. To see a full list of the networks that are support cost click here.